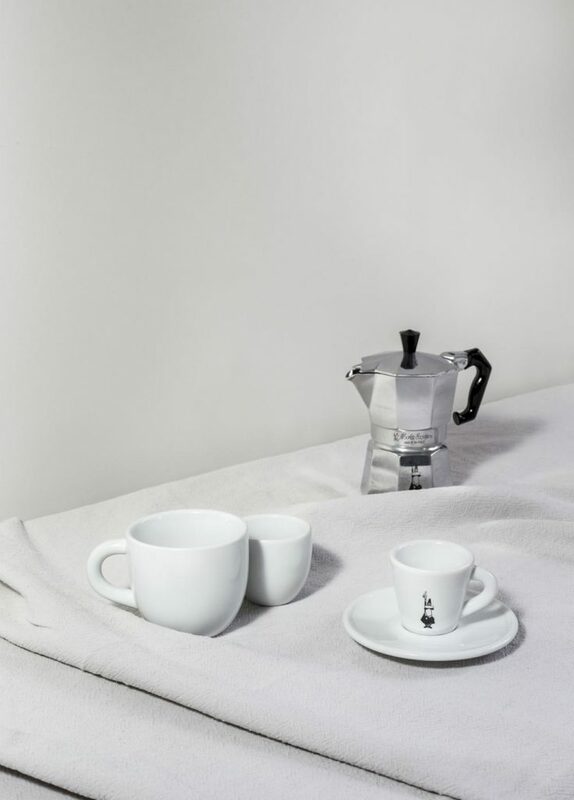 The collection MOKA & MORE for the historic brand Bialetti comes from a careful study of the organoleptic properties of coffee, from the beans to the powder and a thorough analysis of all the instruments dedicated to the coffee ritual. 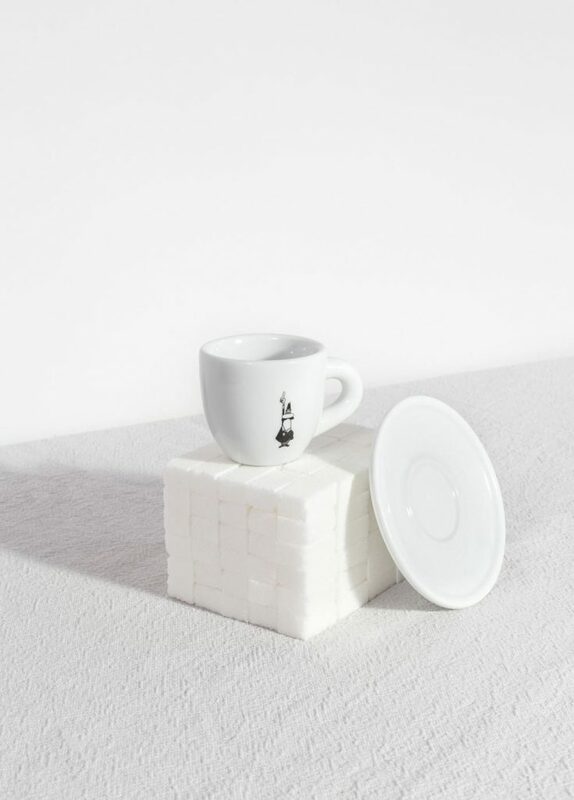 During a fruitful collaboration of several months, Sovrappensiero Studio has designed a new collection of products for the preparation and tasting of coffee, along with a complete art direction for the company that invented the famous moka. Each instrument – inspired by geometric and minimal volumes, to silently accompany and work with the iconic moka – hides a smart intuition or a functional revolution that will soon become indispensable for the lovers and for the neophytes of the coffee world. 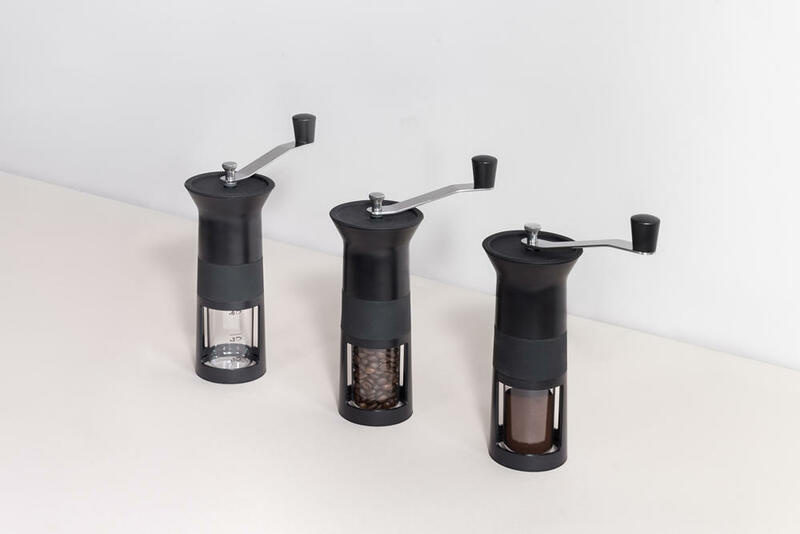 The coffee grinder is equipped with adjustable ceramic wheels to avoid overheating the beans and gives the chance of choosing the desired fineness of the powder. 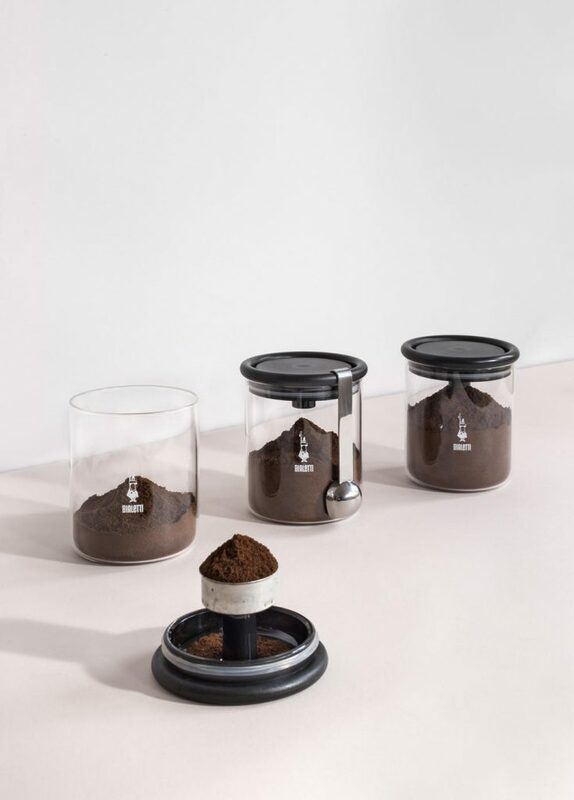 The transparent dispenser measures the amount of coffee for 1, 3 or 6 cup moka pot. The silicone lid allows you to fill the coffee grinder quickly without spreading the powder. 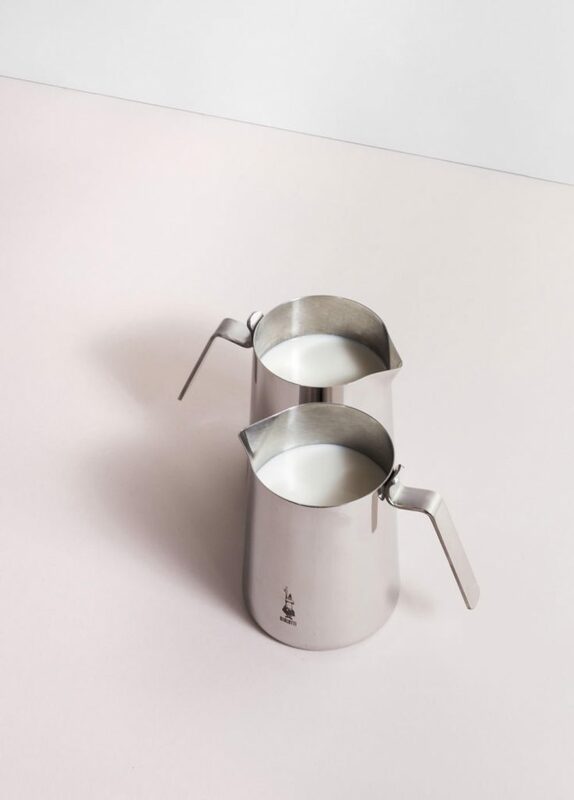 The stainless steel jug is available in different sizes to always manage to the best the temperature of the milk for your cappuccino. The shape of the handle is designed to protect the thumb from high temperature and the spout has been designed to cut the liquids and never spill a drop. The glass coffee jar hides a big innovation underneath a support to house the moka funnel at the time of filling. This trick is to have your hands free and to accommodate the excess powder inside the lid and then empty it into the jar without getting dirty. 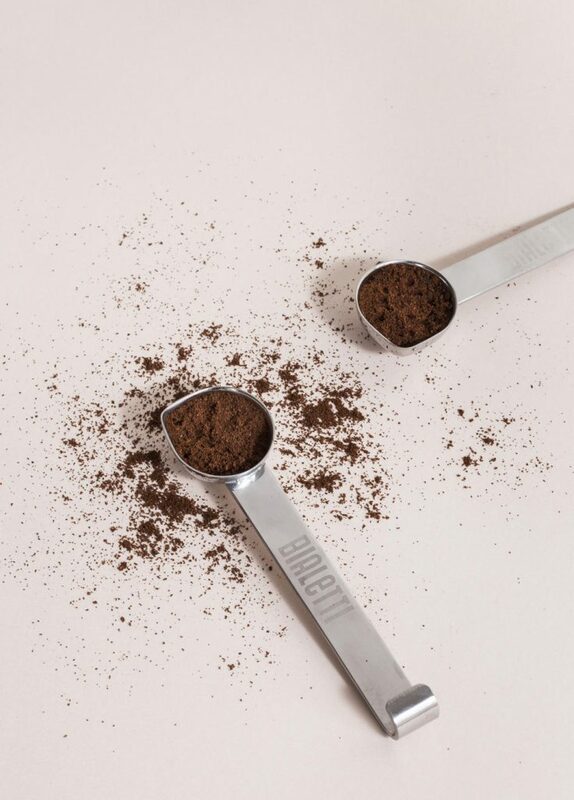 The shape of the spoon is designed to accurately measure the powder and when not in use it will hook on the lid with elegance. 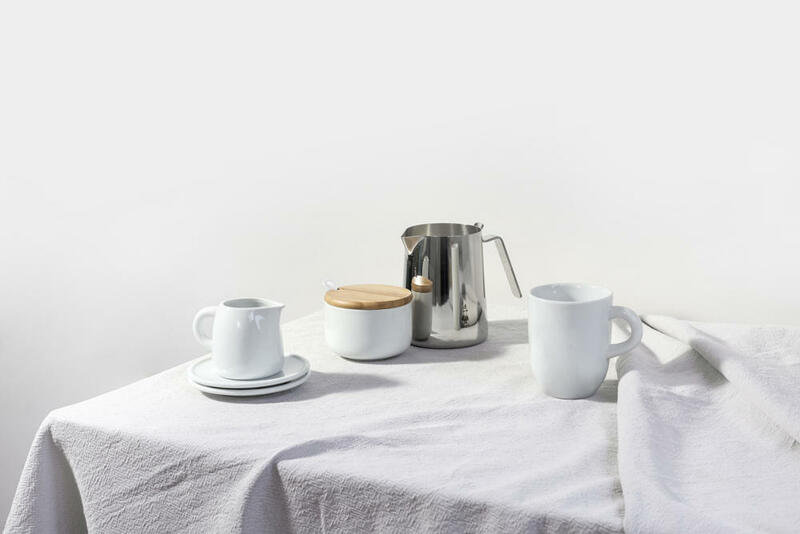 From the search for a perfect balance between essential lines and archetypal shapes able to recall on the table the whole tradition of Italian espresso coffee, the porcelains for breakfast and for coffee tasting are born coffee cup, espresso cup, cappuccino cup, mug, sugar bowl, milk jug.